4 Essential Ingredients For Sucess | Are You Being Real? 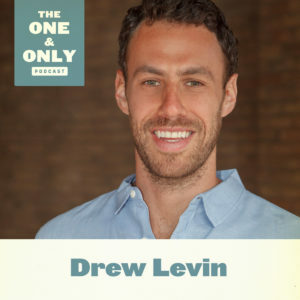 Drew Levin is an energetic entrepreneur and creator. He runs a successful real estate business (with over 30 properties), owns a Turkey sandwich company (Turkey-To-Go), and stars in a reality TV show (Renovate To Rent on HGTV and DIY Network). How is he so successful?? 1. Vision – Have a clear dream or goal. 2. Passion – Love what you are doing. 3. Patience – Know that success comes with time, so don’t think the sky is falling if you don’t get instant results. 4. Persistence – Commitment and hard work, even when it get’s tough and seems impossible. For more of what’s real to Drew, tune-in to his appearance on The One & Only Podcast, in which Drew shares in great depth about his keys to his success, work ethic, approach to obstacles, and how he stays true to himself.